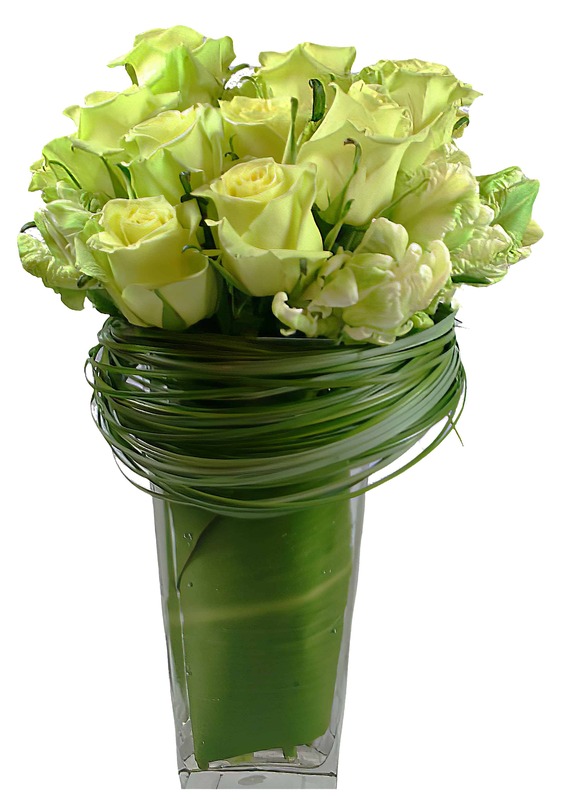 This ravishing arrangement of Roses and Parrot Tulips is set in a tapered vase lined with a ti leaf and topped off with a sphere of Bear Grass. It brings back elegance with a twist! An attractive piece to help celebrate your next anniversary or a great way to turn up the heat with a touch of romance in your relationship!